9ct rose gold, small polish flower stud earrings, set with a central pink cultured freshwater pearl. Timeless elegance, these stunning stud earrings will complement the look of every outfit. 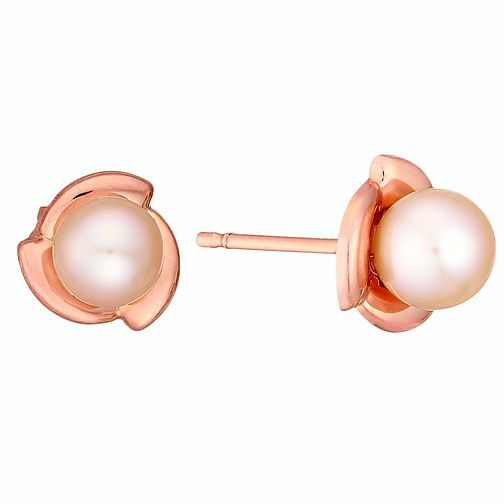 9ct Rose Gold Cultured Freshwater Pearl Flower Stud Earrings is rated 5.0 out of 5 by 1. Rated 5 out of 5 by Anonymous from Beautiful earrings What a stunning pair of earrings - perfect for a Christmas gift and delivery was prompt.